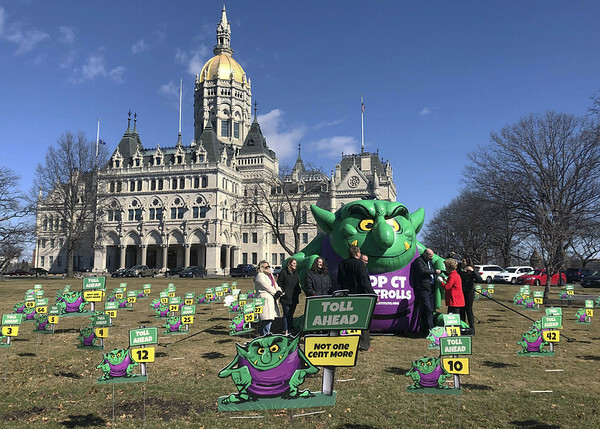 HARTFORD - Opponents of tolls on Connecticut highways are making their opinions known before lawmakers cast their first vote on the issue. Neil Tolhurt, of New Hartford, stood outside the Capitol holding a sign that read “Democrats against tolls.” He says “no state has 53 or 83 tolls,” referring to the various recommendations. Posted in Newington Town Crier, Newington News, State on Tuesday, 19 March 2019 12:59. Updated: Tuesday, 19 March 2019 13:01.